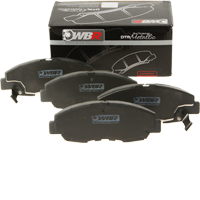 WBR ceramic brake pads are specially formulated for driving conditions that require superior friction effectiveness without compromising low noise or low dust characteristics. 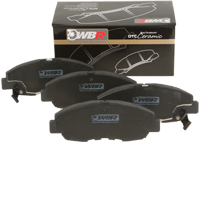 The WBR metallic brake pads are specially formulated for vehicles and driving conditions that require maximum friction effectiveness and resistance to brake fade. brake program with regards to safety, quality, performance and affordability.